NEW YORK -- WABC-TV extended its run as the most watched station in the New York market and the country, according to the May 2016 Nielsen audience measurement period. The flagship station captured a 3.3 rating/9 share in DMA Households, Monday-Sunday Sign-On to Sign-Off. With each rating point representing 73,683 Tri-State area TV households, ABC7 attracts a larger audience than any other television station in the nation. WABC-TV's signature "Eyewitness News" franchise led all other local news stations throughout the day. ABC7 is also #1 in the Tri-State area online; its abc7ny website is consistently #1 among local broadcast station websites in monthly unique visitors. And Channel 7 maintains a stellar social media presence, with more Facebook Likes and Twitter followers than any other local broadcast TV station. WABC-TV's daily ratings success begins with the early morning news. The station's "Eyewitness News This Morning" with Lori Stokes, Ken Rosato, Bill Evans, and Heather O'Rourke, boasts the highest ratings from 4:30-5:00 a.m. among DMA Households and Adults 25-54. At 5:00 a.m., WABC-TV leads in DMA Households with a 91% lead over its nearest competitor, and has a commanding 67% lead among Adults 25-54. At 6:00 a.m., "Eyewitness News This Morning" holds a 55% lead among DMA Households and also wins among Adults 25-54. "Good Morning America" leads the ratings in the country's largest market from 7-9am with a 41% advantage over its closest competitor in DMA Households. It also wins among Women 25-54 and Adults 25-54. At 9:00 a.m., "LIVE with Kelly" underwent some well-publicized changes and didn't miss a beat. "LIVE" remains #1 among DMA Households and Women 25-54, and it attracts more than twice as many viewers as any other program in its time period. The longtime weekday morning staple is also up from last year among DMA Households, Women 25-54 and Women 18-49. Nationally, the show attracts nearly four million viewers a day and is the nation's #1 syndicated entertainment talk show. The program is produced by WABC-TV and syndicated nationally. "Eyewitness News at Noon" with David Novarro, Shirleen Allicot and Bill Evans, is the market's only one-hour midday newscast. It has a 50% advantage over its closest competitor among DMA Households and attracts more Women 25-54 than its two competitors combined. "Eyewitness News at Noon" also shows growth from last year in both areas. ABC's "The Chew" follows "Eyewitness News" and wins its time period in DMA Households, Women 18-49 and Women 25-54. At 3:00 p.m., longtime ABC mainstay "General Hospital" wins its time period among DMA Households while maintaining a 45% advantage over its closest competitor among Women 25-54 and attracting more Women 18-49 than any two competitors combined. WABC-TV's "Eyewitness News First at 4," with Liz Cho, David Novarro, and Lee Goldberg, tops most of its evening news competitors that air at 5:00 p.m. and 6:00 p.m. in Adults 25-54 despite airing in an earlier time period with lower viewing levels. "Eyewitness News at 5:00" with Diana Williams, Sade Baderinwa and Lee Goldberg, maintains its customary #1 spot among DMA Households. It also leads among Adults 25-54 by a 22% margin over its closest competitor. The weekday edition of "Eyewitness News at 6:00" with Bill Ritter, Liz Cho, Lee Goldberg and Rob Powers, holds a dominant 72% advantage in DMA Households and as many Adults 25-54 as its two closest competitors combined. This sweep marks the 147th consecutive ratings survey period that WABC-TV has finished an outright #1 in DMA Households among local M-F 6:00 p.m. newscasts. "Eyewitness News at 11:00," featuring Bill Ritter, Sade Baderinwa, Lee Goldberg and Rob Powers continues to lead the New York market. It ranks #1 in DMA Households and also holds a 17% advantage among Adults 25-54. "Eyewitness News" is equally strong on Saturdays and Sundays, where WABC-TV airs more local morning news than any of its competitors. "Eyewitness News This Morning" with Michelle Charlesworth, Rob Nelson, and Amy Freeze collectively ranks #1 among DMA Households and Adults 25-54. On weekend nights, "Eyewitness News at 11:00," featuring Joe Torres, Sandra Bookman, Laura Behnke, and Jeff Smith, is #1 among DMA Households and Adults 25-54. "Eyewitness News" was the first local 11:00 p.m. newscast to expand to a full hour on the weekends and consistently performs well in that extra time. ABC's longtime mainstay "The View" continues to win its time period among DMA Households. "World News Tonight with David Muir" leads its closest network news competitor by +90% among DMA Households while showing year-to-year growth, and also attracts more Adult 25-54 viewers than both of its competitors combined. In Late Night, ABC's "Jimmy Kimmel Live" continues to perform well at 11:30 p.m, while long-running staple "Nightline" wins its time period among DMA Households. WABC-TV's syndicated programs "Jeopardy," and "Wheel of Fortune" continue to win their Prime Access time periods by wide margins in DMA Households and most key demographics, including Adults and Women 25-54. In Prime, WABC-TV finishes the sweep ranked #1 in all key demographics and boasts 7 of the top 10 regularly scheduled programs among Adults 25-54. ABC has strength throughout the week with programs including "Scandal," "Modern Family," "The Middle," "The Goldbergs," "Dancing with the Stars," "Black-ish," "Grey's Anatomy," and "Shark Tank." WABC-TV also uses data from the television measurement service Rentrak. With those metrics, WABC-TV ranks #1 in Household and Adults 25-54 viewership in nearly every area. No matter which measurement service is used, WABC-TV is #1 in the New York market. ABC7's website, abc7NY, is #1 in Monthly Unique Users among all local broadcast station sites in the market. WABC-TV routinely sees about 30 million monthly page views across its digital platforms. Along with the website, Channel 7's Eyewitness News apps for iPhone and Android also generate millions of monthly impressions, while WABC-TV's Weather App also continues to perform well in the market. 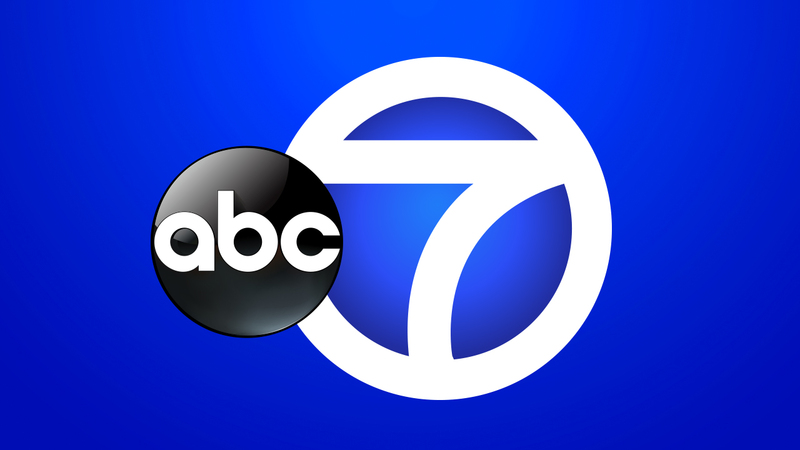 ABC7 also continues to grow its strong presence on social media with more than 1.5 million Facebook Likes, ranking #1 in the market among local broadcast TV station pages. Channel 7 also ranks #1 on Twitter among local station feeds with 330K followers of its main feed. The WATCH ABC app also continues to grow, helping to deliver content to an increasing array of platforms.